Reliance Precision Limited (Reliance) today announced that its partnership with major supplier of high-quality labware, Greiner Bio-One (Greiner) has resulted in development of the CELLswing™, an automated manipulator, which gently moves and rotates a CELLdisc™ containing adherent mammalian cells in any required position. Reliance collaborated with Greiner to contribute design and manufacturing expertise to develop a compact prototype of the CELLswing™, which is used for automatically positioning the CELLdisc™ (from 4 up to 16 layers) to process adherent mammalian cells. Scientists can control both the speed and rotation of the CELLswing™ remotely to automate activities such as buffer washes and trypsinization. 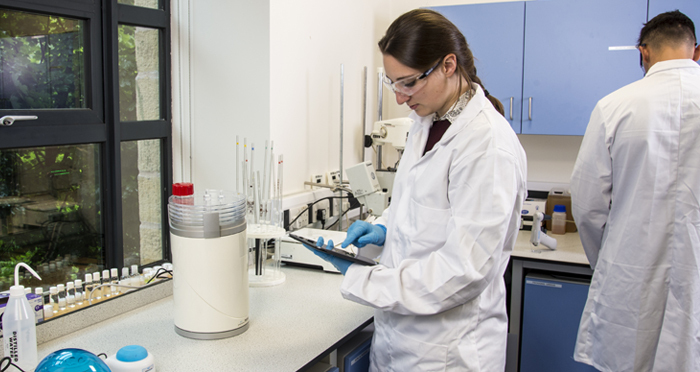 Using the CELLswing™ helps to optimise CELLdisc™ movement, ensuring cell processing is gentle and consistent, making the instrument suitable for use in research laboratories and can then be easily scaled up for use in industrial bioproduction and cell therapy facilities. Greiner approached Reliance in 2016 with an initial idea for the CELLswing™ and Reliance’s engineers contributed their robotics know-how to produce and deliver a prototype which was evaluated and thereafter shown in February 2017 at the world’s largest laboratory automation conference, the Society for Laboratory Automation and Screening (SLAS). The CELLswing™ was well received, with almost every scientist that saw it registering interest. Major pharma and biotech companies globally are beta-testing the system for processing a range of different cell types. Greiner is also seeking other test partners that would like to trial this product and provide their feedback by Q4 2017.